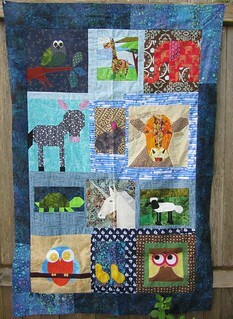 Over the weekend, I received an unexpected parcel in the mail from Alida over on Tweety Loves Quilting. 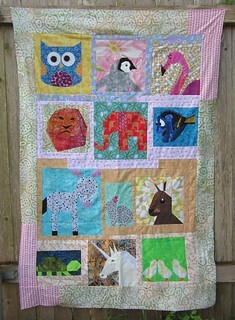 I looked at the gorgeous quilt and I knew it reminded me of something, but I couldn’t put my finger on it right away. It was only after I walked away and into my kitchen that I realized. 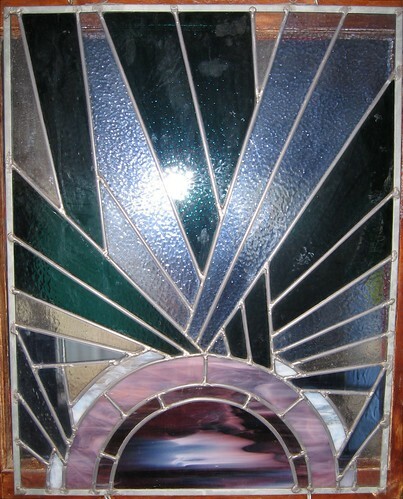 Alida recreated one of my mother-in-law, Carol’s, stained glass pieces that I had shared in this post the day after Carol passed away. To say I was gobsmacked is an understatement. I immediately raced up stairs to pull the photo up so I could compare. The gorgeous birthday gift is a recreation of this piece, there was no doubt about it. 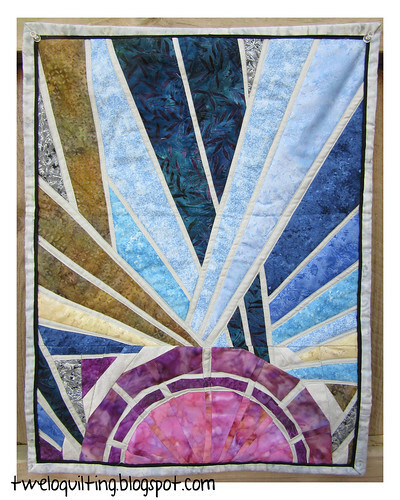 Not only did Alida send me this beautiful piece she obviously worked long and hard on, but she also included two wonderful quilt tops for donation to my favorite blanket charity, The Linus Connection. After the private thank you I sent, I had to share a huge public one. Thank you, Alida, for your thoughtfulness and generosity. 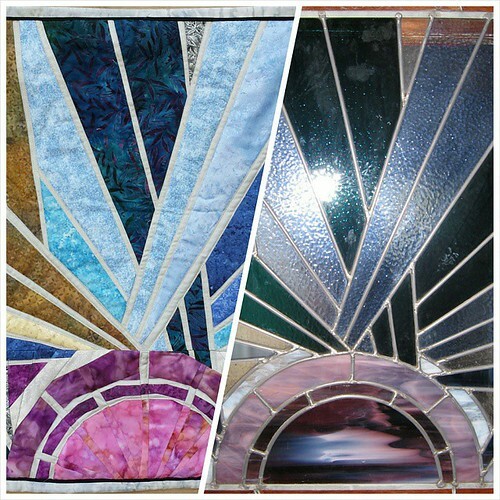 This entry was posted in family, paper piecing and tagged alida, carol, Family, linus connection, mother-in-law, paper piecing, stained glass, tweloq on April 13, 2015 by Jennifer Ofenstein. 🙂 Thank you for the special post 🙂 I had a lot of fun making each project for our inspiring crafty cheerleader! What a great gift! So special and pretty! Absolutely beautiful and truly thoughtful gift.